It's been forever since I've shared a WoW with you guys, but The Unnaturalists seemed like the perfect book to jump back in with. 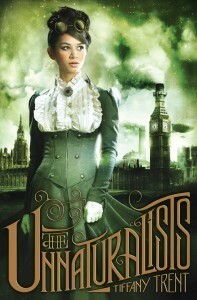 I still haven't tried the Steampunk genre (so many books to read! it's so hard to find time to fit them in!) but I'm certainly eager to give this one a chance. And do I need to talk about how much I adore this cover? I mean, seriously. Just look at it. I know I love this cover! I think this author has written a few books, and I may actually own some. Still have to get to them though.